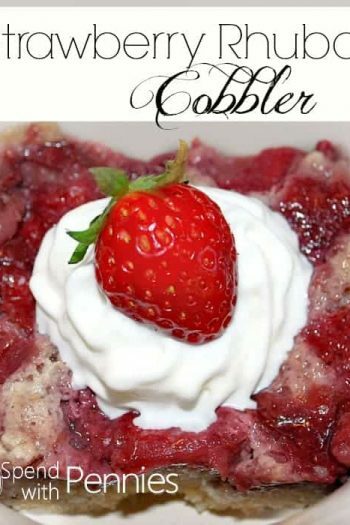 This is such a wonderful recipe! It was given to me on a handwritten card at my wedding shower by my dear friend Val! 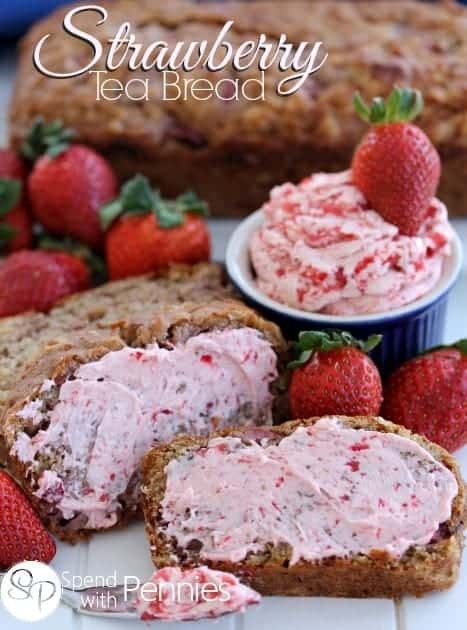 The addition of the oats adds such a nice texture and flavor to this bread. 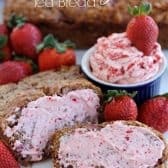 I love this recipe because it is simple to make and looks beautiful, especially served with the Whipped Strawberry Butter below. 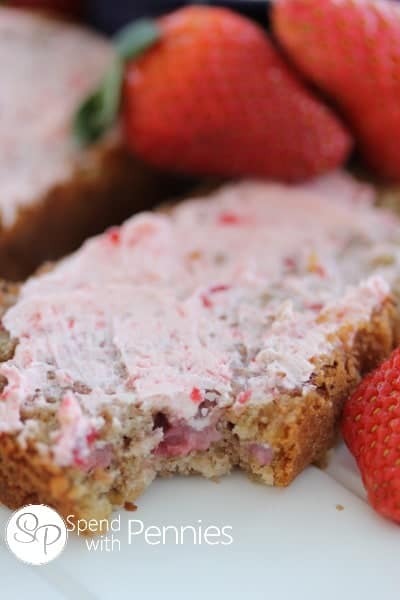 If you happen to have some strawberries in the fridge that just didn’t last as well as you’d expected they would, this is a perfect way to use them! 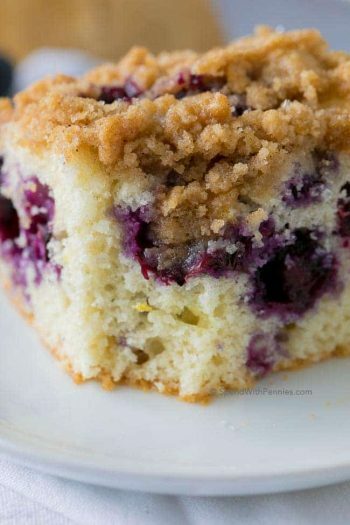 I have tried this bread with blueberries as well, it was just as delicious! Preheat oven to 375 degrees. Grease and flour two 9x4 loaf pans. Combine flour, oats, cinnamon, salt, baking soda and baking powder in a large bowl. Set aside. In a second bowl, combine eggs, sugar, vegetable oil and vanilla. Pour egg mixture into dry mixture and stir until almost combined. 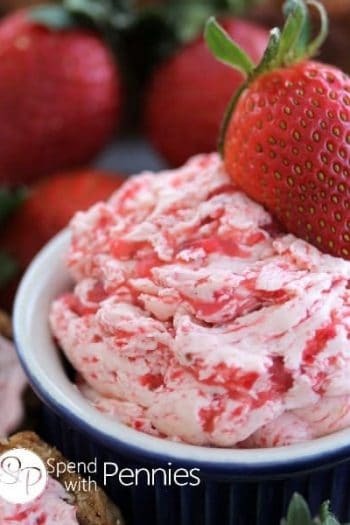 Add in strawberries and stir just until combined. Do not overmix. Pour batter into prepared pans and bake 40-45 minutes. Cool 5 minutes in the pan. Turn out onto a cooling rack and let cool completely. Whip butter on medium speed of a mixer until fluffy. 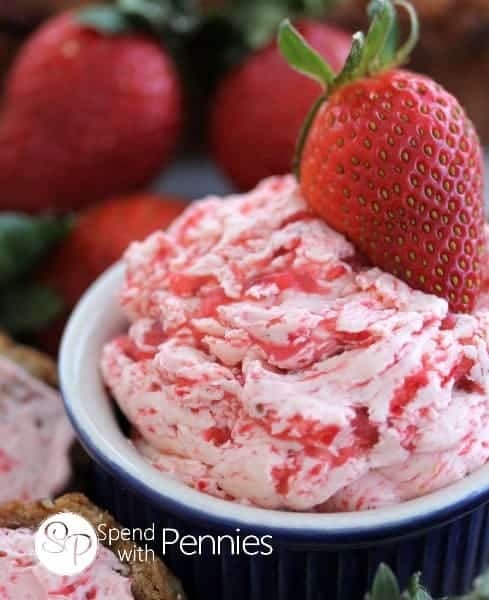 Whip in strawberries & powdered sugar. how do you crush strawberry’s potato masher then drain? Thank you for stopping by. You can use a potato masher, a very large serving fork or a muddler. I have read a lot of your posts, you have some of the best recipes I’ve ever read , wish I could make them all.